St. Patrick’s Day is one of Savannah’s most celebrated holidays. What better way to honor the Irish, than to visit an Irish pub? There will be music and plenty of Guinness beer to go around. Some of the pubs are even offering special deals to early customers, but it’s only for one day. 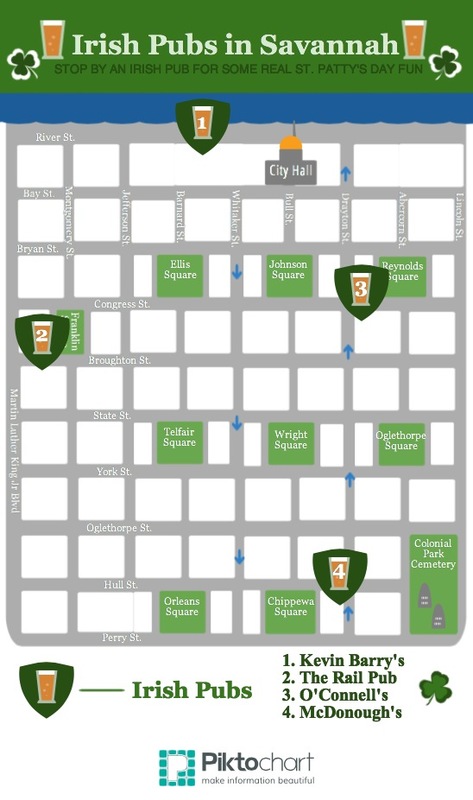 Check out what these Irish Pubs are doing on St. Patrick’s Day in Savannah. St. Patty’s Day Hours: 11 a.m. – 3 a.m.
Kevin Barry’s had celebrated St. Patty’s for the past 33 years in Savannah. They have performances every night of the week and have a full serve menu until 2 a.m. They were named as one of the top 5 Irish Pubs to visit for St. Patrick’s Day by ABC News and ranked in America’s Best and Top 10 Irish Pubs. 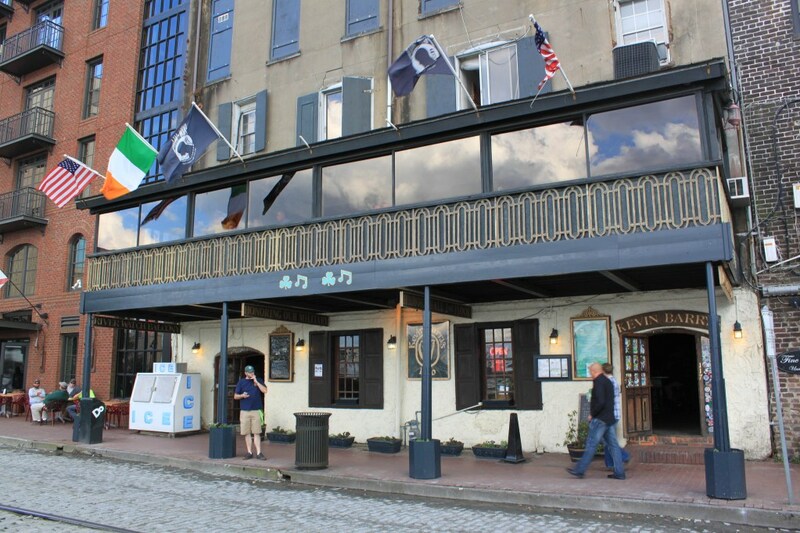 Get one of their Irish whiskeys or a Guinness and go out on their balcony, that overlooks the Savannah River or enjoy some live Irish and American folk music in their music room. St. Patty’s Day Hours: 8 a.m. – 3 a.m.
Start St. Patty’s Day off right with Kegs ‘n’ Eggs at The Rail Pub. For one day a year, the Rail opens up at 8 a.m. to serve free breakfast! Just buy one drink and you’ll get a token for a complimentary breakfast. You have to get there early though, because this free food goes fast. Be one of the first 100 people in the bar and you’ll get a free T-shirt. Go get a paper bagged Miller Light 40’s and enjoy the live music that starts at 8 a.m. and goes all day and night. 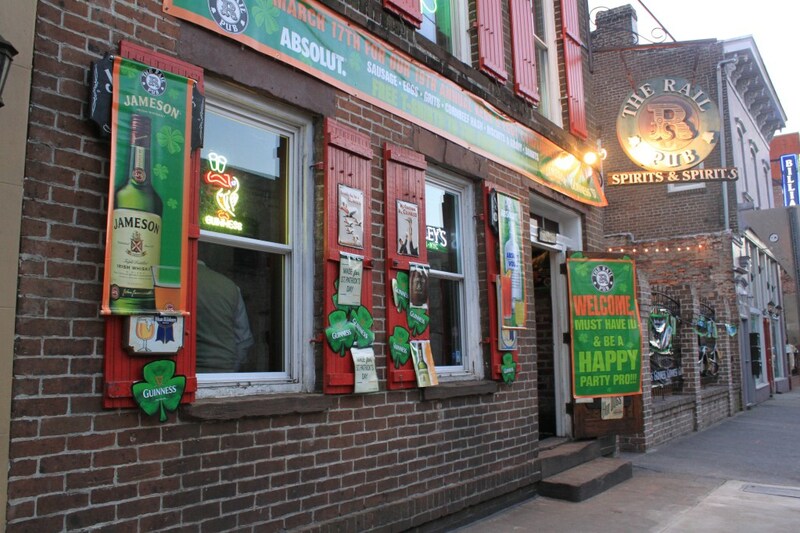 St. Patty’s Day Hours: 6 a.m. – 3 a.m.
Want to visit one of the best karaoke bars in Savannah? 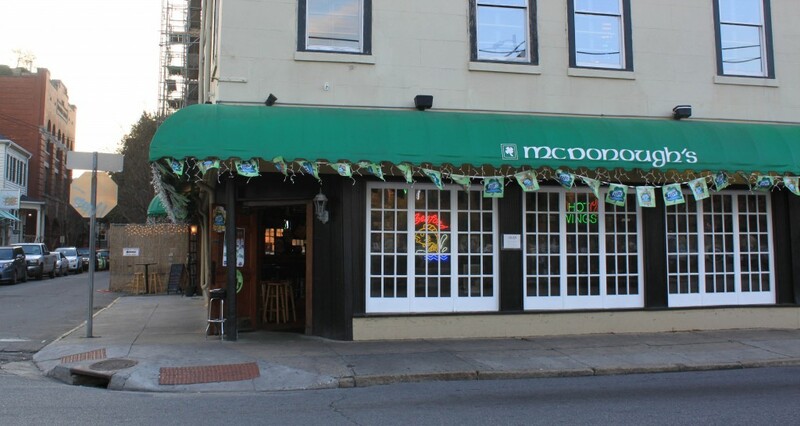 McDonough’s Restaurant and Lounge has been Best Karaoke in Savannah for the past eight years. On St. Patrick’s Day they will have a DJ in the front and back bar all day and night. They say it’s just a party all day long. They have a full-service bar and restaurant that serves breakfasts, homemade soups, salads and sandwiches. On St. Patty’s they will have a breakfast buffet starting at 6 a.m. Go get a bucket of beer and enjoy the party. 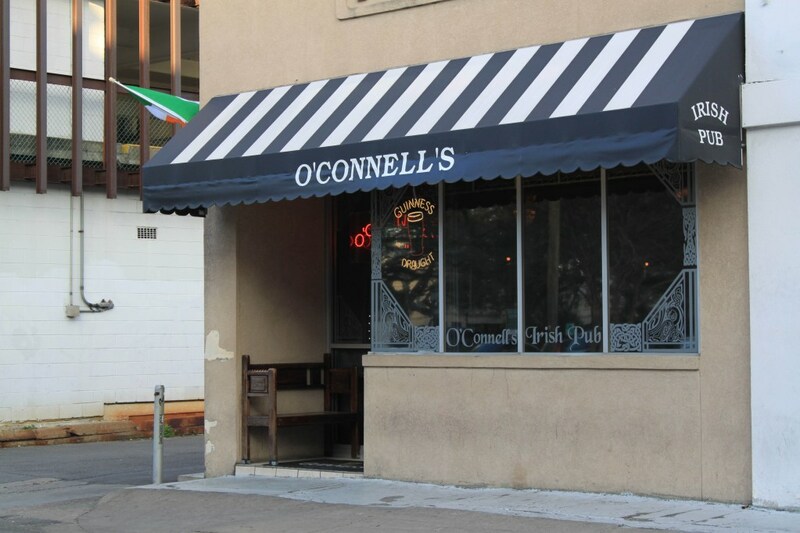 O’ Connell’s may be one of the smallest Irish Pubs, but it is also one of the most authentic. Their walls are covered in Irish memorabilia—from soccer jerseys to pictures of Irish countryside, old bottles and coat of arms. Stop by and try the Pickleback, a shot of whiskey chased with a shot of pickle brine.